I gave my first injection today. As usual, it was another good day for me... and it was not as good of day for another poor soul. 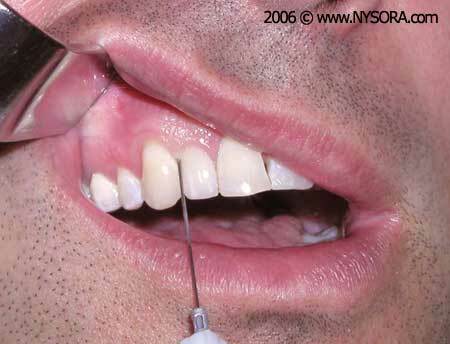 When they tell you how to give an oral injection, it goes something like this: Stick the needle up in there until you feel it hit the bone. Then back off a little bit and squeeze. I am currently accepting applications for my next volunteer (victim?). In other news, my bible study will start meeting on Mondays, my flag football team beat the first year dental students on Sunday, and I've got two midterms coming up this week, so I'll have plenty to keep me busy.